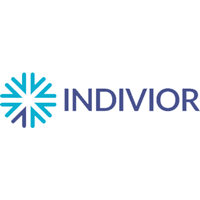 Indivior PLC (LON: INDV) today announced that the U.S. Court of Appeals for the Federal Circuit (“CAFC”) has denied Indivior’s motion for rehearing and rehearing en banc following the CAFC’s ruling vacating the preliminary injunction granted against Dr. Reddy’s Laboratories (“DRL”) based on U.S. Patent No. 9,931,305. The CAFC also stated its mandate is currently set to issue on February 11, 2019. Indivior intends to file an emergency motion with the CAFC to stay issuance of the mandate pending resolution of Indivior’s appeal of the District of Delaware’s decision finding DRL does not infringe U.S. Patent No. 8,603,514 (“the ‘514 patent”), and pending Indivior’s forthcoming petition for a writ of certiorari to the Supreme Court of the United States in the PI matter. The mandate is a formal order by the CAFC that returns the case to the District Court for actions consistent with the CAFC’s ruling. After the mandate issues, DRL will no longer be prevented from selling, offering to sell, or importing its generic buprenorphine/naloxone sublingual film product in the U.S.
Indivior assumes that DRL will resume the launch of its generic buprenorphine/naloxone sublingual film product in the U.S. once the CAFC issues the mandate. Indivior also assumes that Alvogen Pine Brook LLC (“Alvogen”) will also launch its generic in the U.S. once the CAFC issues the mandate, pursuant to a January 31, 2019 agreement between Alvogen and Indivior. Industry analogs1 suggest that a launch in the U.S. of a generic product that can be directly substituted by a pharmacist for the branded product without consultation with the patient would result in the branded incumbent (in this case, SUBOXONE® Film) losing up to 80% of its market share within a matter of months. Any generic product sales in the U.S. by DRL and/or Alvogen would be on an “at-risk” basis, subject to the outcome of the appeal of the non-infringement judgments related to the ‘514 patent (as well as U.S. Patent No. 8,017,150 in the case of DRL), and ongoing litigation against DRL and Alvogen in the District of New Jersey asserting other Orange Book-listed patents (including U.S. Patent No. 9,931,305). · Headcount reductions as of this release and other previously committed savings. · Further initiatives reducing structural costs, including delaying and/or cancelling R&D projects. As a result of these cost initiatives, the FY 2019 operating expense base (SG&A and R&D) is expected to be reduced to $440m to $460m. Indivior will announce its FY 2018 results on February 14 at 7:00 a.m. GMT (2:00 a.m. Eastern U.S.) on the RNS.